Each contract will allow you to use a set amount of calling minutes, text messages and data allowance, the PAYG and monthly contracts will also provide the handset either free or with a minimum payment. Our mobile data usage guide can help you work out much data allowance you need. 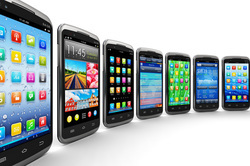 Free phones - you get a wide choice of free or subsidised mobile phone handsets. Good value - paying in advance for a fixed amount of minutes, texts and data is much cheaper than paying for it on a usage basis. Hassle free - bills are paid by direct debit and you’ll never get cut off because you've forgotten to top up your credit. Is a monthly contract deal right for you? This type of deal is best if you use your phone on a regular basis – if you spend less than £10 to £15 month then you might be better off on a PAYG (pay as you go) or sim-only plan. Pay monthly deals are usually the best choice if you want the latest smartphone. Instead of paying hundreds of pounds for a PAYG or sim-free version, you can usually get one on a monthly deal with either no upfront fee or a very small one-off cost. Also because the network operators buy handsets in bulk they get big discounts meaning they can offer very good handsets much cheaper than if you independently bought the unlocked handset and a sim only deal. How do monthly contract deals work? You sign up to a contract of usually 12, 18 or 24 months. 12 month deals let you change your deal, and probably your phone, after a year but you’ll pay more up front for your phone. Most contracts last for 18 or 24 month. The best value are the 24 month deals. You’ll pay a lower monthly premium with a longer contract and are also likely to pay a reduced sum for the handset itself or even get it free of charge. You'll need to pass a credit check and be over 18 to take out a monthly contract. You’ll then pay a fixed amount each month. In return you’ll get the phone of your choice and a set number of minutes, texts and data to use. Which network should I choose? Most mobile phone networks sell pay monthly deals although Asda Mobile only offers PAYG and sim-only packages. Picking the right network is extremely important – get it wrong and you could be stuck with it for two years. You should also check the network coverage and signal strength in your area to make sure you’ll be able to use your phone everywhere you will need it (home, work, family & friends) . All the networks have post code checkers on their websites but these can be inaccurate – if you know anyone that uses the network then it’s far better to ask them what they think about it. To find the best pay-monthly phone deals, it's crucial to think about how you use your phone (look at your last few mobile bills, if available, as a guide). Try to find a deal that matches your typical usage as the cost of calls, texts and data that exceed your inclusive minutes can add up. Remember that if you are buying a smartphone and are planning to use it for browsing the internet, emails and watching videos then you need to carefully work out much data allowance you will realistically use each month. And be aware that while most networks will let you move to a more expensive package during your contract (though this may mean you have to sign up for a further full 12/18/24 months) few will let you move to a cheaper one if you’re not using your monthly allowance. What are the drawbacks to pay monthly deals? Pay monthly deals can result in nasty bills – something that the regulator Ofcom has termed ‘bill shock’. Whereas with PAYG you can only spend as much as your credit allows, there’s no such limit with a pay monthly tariff. Instead you’re usually free to spend any amount, which the network will then automatically transfer from your bank account via direct debit. If you’re worried about bill shock then ask your network if it will let you set a monthly cap on your spending. Most won’t but some, such as Tesco Mobile, are happy to do so. Check out the very best pay monthly deals available today with free handsets - use our live checker to see the most popular phones compared against all the most popular networks - updated twice a day. The sim refers to a small plastic card with a tiny electronic chip embedded in it. SIM is short for ' subscriber identification module' . Basically think of a sim card as the passport for your phone. It identifies who you are and allows the phone to connect onto your phone network so it can work. Every mobile phone must have a active sim card inserted into it before it can work. In order to have a sim only contract you will need to buy a mobile phone handset which is unlocked. Mobile phone manufacturers make most of their handsets to order for specific mobile phone networks. To make sure they can only be used on just these networks the phones are 'locked' to that network. For example a handset produced for Vodafone will only work with a Vodafone sim. Some specialist phone repair shops will unlock a handset for a fee. However you can buy most handsets as unlocked phones and you can then run these phones on any network you choose. The carphone warehouse sells unlocked phones also known as sim free handsets and the very latest sim-only deals here. They are the most flexible form of deal because you are not tied into a particular handset or network longterm and require the least payment upfront. You are only paying for the calls, texts and data. Because the deal does not include a handset it can be much cheaper. You have the choice of using any unlocked handset you want. A typical sim-only contract has a minimum term of just 30 days. This can make it a good way to test out a new network operator to make sure that the signal strength and coverage are as good as claimed before signing up for a full monthly contract. They can make good 'stop-gap' contracts if you are waiting for a particular handset to be released but do not want to tie yourself into a lengthy contract. 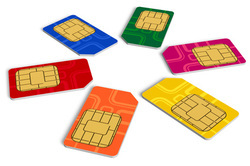 What are the downsides of sim-only deals? The most obvious drawback to buying a sim-only deal is that you will have to provide your own phone. It can be hard to find sim-free phones and they can be surprisingly expensive (even more expensive than PAYG versions). Even if you already own a phone you may have to pay to get it unlocked if you want to switch your network operator. If you are a heavy user of calls / text's and data they can be expensive compared to some monthly contracts. Pay as you go mobile phone contracts (PAYG) allow you to 'top-up' with credit as and when you need it, so that you can avoid paying a monthly fee to use your mobile phone. They are best suited to light users who do not make many calls or use much data. What are the advantages of pay as you go? Good value - there are no minimum monthly charges and PAYG phones are often very cheap. No nasty bills – because you can only use pre-paid credit you won’t get any unwelcome surprises. No contract – you can walk away whenever you want. Available to under 18s – unlike pay monthly contracts. If you find that you're not using your mobile phone to make many calls then switching to a cheap PAYG deal could save you a lot of money and if you're already on PAYG, don't assume there are no savings to be made - there might be other PAYG mobile deals that are cheaper than the one you're on, especially if you've been on the same deal for years. First you need to choose a PAYG phone. There is a wide choice of handsets but better models with more features can be expensive. Once you’ve added credit to the phone you’re free to make calls, send texts and surf the web. Once you’ve run out you simply top up your phone with more credit. There are a variety of ways to top up your PAYG account. You can top up with your provider online, over the phone or even by text message. You can also buy vouchers, commonly available in supermarkets, or top up via certain cash machines. As well as the four mobile networks (O2, Orange, 3, T-Mobile and Vodafone) check out the options from PAYG providers that 'piggy back' on one of the operators, such as Virgin Mobile, Tesco Mobile, Asda Mobile or Talkmobile. These virtual operators often offer much cheaper PAYG mobile contracts. 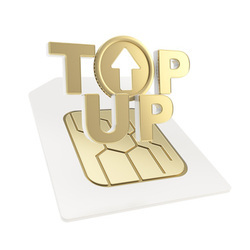 Many networks now offer incentives encouraging you to top-up your PAYG phone. However if you’re a light phone user then you're probably better-off ignoring these incentives and picking a tariff based on its standard charges. What are the drawbacks with pay as you go deals? You'll probably have to pay full price for a handset up front which can be very expensive if you want the latest smartphone and your PAYG phone will be locked to your chosen network operator meaning that if you want to change to another operator you will have to pay to get the phone unlocked. Heavy users will get better value with a contract that includes an allowance of minutes, texts and data. And it may sound obvious, but getting cut off during a call because you’ve run out of credit can be very frustrating. Very light users also need to be aware that if you don't use your PAYG mobile for a long period, your provider may assume it's no longer in use and deactivate the number. If this happens, you might lose any credit that you have on the phone.